There is certainly plenty of bear facts to learn if you are fascinated by this particular animal. However, there are many myths too that continue to circulate. Here you will get accurate information that you can rely on. There are only 8 species of bears living in the world today. Six out of eight species of bears are vulnerable or endangered. The bear species with more risk of becoming extinct is the Giant Panda Bear who is classified as endangered by the IUCN red list. 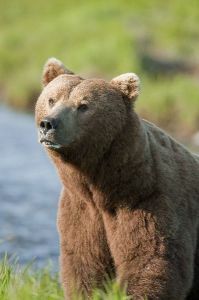 The well known Grizzly bear and the Kodiak bear, are both subspecies of the Brown bear. Bears are omnivores and they are classified as carnivorous, but most of their diet is plant matter. Hibernation is a common among bears. However, the specifics of it will depend on the species. For example with some bears only the females will hibernate, and only if they are pregnant. Their young will be born while they are hibernating as well. With other species all of them will hibernate. The length of time can be from a few weeks to several months. Even more, some species that live in warmer places will not hibernate at all. The core diameter of the home range for a bear will get larger as it gets older. In the first couple of years of life it will span two miles or less. Full grown adult American black bears can have a span from 8 to 60 miles, but this will depend on the location they live. It may seem that bears are found all over the world, and that is true in most senses of the words. However, there are some regions where they won’t be found. They include Africa, Australia, and Antarctica. It is believed that millions of years ago there were some species of bears that did live in Africa though. All bear species live in the Northern Hemisphere with the exception of the Spectacled Bear who lives in South America. A bear is going to eat much more in the summer months to store for the winter. That way they will have fat reserves to live on when they are hibernating. For those bears that don’t hibernate, it is because they can find enough food in the winter months to survive. Bears are able to see very well and they can see in color too. They have a sight capability compared to humans. They have a wonderful sense of smell. Even though the ears are small, they can also hear well but not great. These combined senses allow them to be alert to what is going on around them, to find food, to detect danger, and to explore their surroundings in detail. While bears are generally seen moving very slow and leisurely, they can run quite fast. Some species can run up to 35 miles per hour for a short period of time. 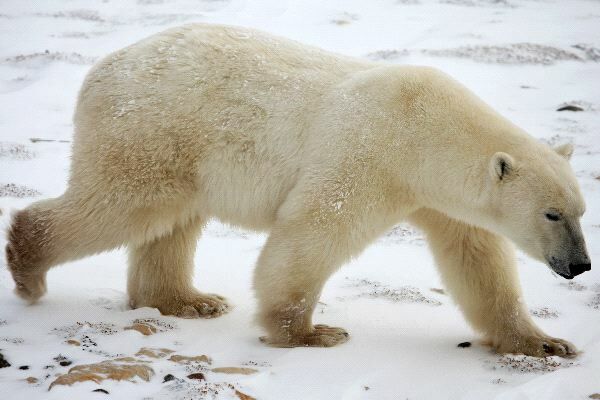 The typical life span for a polar bear in the wild is 20-25 years, while in captivity there is a case of dying at the age of 43. American Black Bears can live up to 30 years in the wild but most do not reach 10, mostly because of encounters with humans. They also do very well in captivity with the average life span being up to 34 years. Bears are shy creatures and they can be spooked or frightened. They aren’t monsters or over aggressive by nature as they are often portrayed in our society to be. It is estimated that a huge part of the natural vegetation for bears in the wild has been destroyed so far. Even with efforts in place to prevent it, the rate of it being lost is very fast which is a huge threat to their survival. When a bear is walking both the sole and the heel of the foot are touching the ground at the same time. They can live in a variety of different geographical locations. They include the very cold regions, in the mountains, and on the plains.